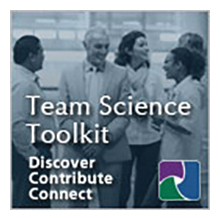 Drawing on the latest techniques used in business and commercial labs, this workshop provides key leadership skills for scientists and administrators who lead scientific teams. The workshop’s focus is on improving team collaboration and creativity. The morning session provides leaderships skills for managing cognitive biases that affect information processing; techniques for constructively pointing out the errors in others’ logics; and skills for ultimately assimilating ideas and presenting a persuasive case to your team, dean, or external funder. The afternoon session furnishes techniques for building a better leadership network within your lab and outside your lab to scientists, university administrators, funding agencies, and donors. Building on the latest ideas from network science, it describes the three characteristics of powerful leadership networks, provides an opportunity to measure your network, and discusses strategies for relationships and network building. Adam Galinsky, Ph.D., is currently the Morris and Alice Kaplan Professor of Ethics and Decision in Management at the Kellogg School of Management at Northwestern University. He received his Ph.D. from Princeton University in Social Psychology and his B.A from Harvard University. Professor Galinsky has published more than 110 scientific articles, chapters, and teaching cases in the fields of management and social psychology. His research and teaching focus on leadership, negotiations, decision-making, diversity, and ethics. Across these areas, Professor Galinsky explores how individuals make sense of and participate in their social worlds and the consequences of this participation for firm, team, and individual performance, especially in cases of leading change. Professor Galinsky’s research has received national and international recognition from the scientific community. His dissertation received the award for the Most Outstanding Dissertation from the International Association for Conflict Management. He has received grants from the National Science Foundation, the American Psychological Association, Carnegie Bosch Institute, and the Dispute Resolution Research Center at Northwestern University. In 2006, he was the sole expert witness in a defamation trial for a plaintiff who was awarded $37 million in damages. In 2009, he was the most frequently cited Kellogg professor in the media for his research and insights. He has appeared in The Economist, The New Yorker, The New York Times, Wall Street Journal, USA Today, US News and World Report, The Financial Times, Boston Globe and Chicago Tribune. His work on auctions was selected as for the 2006 Ideas of the Year by the New York Times Magazine. Brian Uzzi, Ph.D. is the Richard L. Thomas Chair in Leadership at the Kellogg School of Management. He is also professor of sociology, and professor of industrial engineering and management science at Northwestern University, where is also the Co-Director of the Northwestern Institute on Complex Systems. His award winning and highly cited research uses social network analysis and complexity theory to model creativity and innovation, contagion, and outstanding human achievement. His research on team science focuses on the rise of teams in the productions of high impact science, the relationship between scientists networks and their creativity, and the role of on-line communities in creating and sustaining scientific collaboration.